The final touch on many landscape construction projects, the laying of fresh green sod instantly creates a picture perfect lawn. But how do you keep it looking so good? 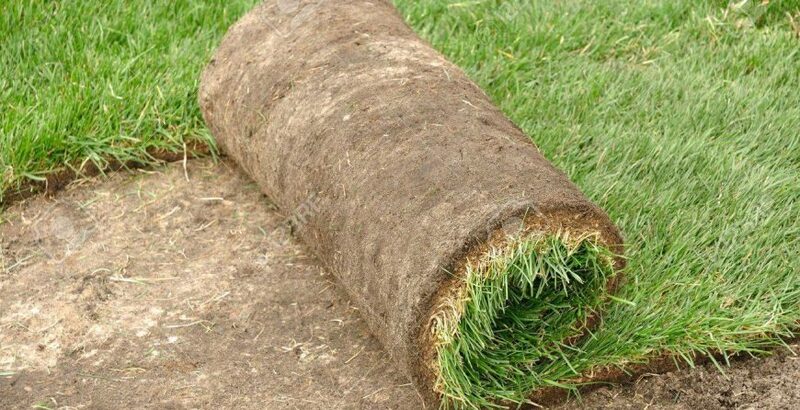 Roots take hold in the first couple of weeks after sod is laid, making it the most important time to care for your new sod. 1) Water, water, water. Your new sod is thirsty. Experts recommend at least 1 inch per day for the first 7-10 days. So, water twice a day every day in warmer temperatures. On hot days, early morning and at dusk is the best time to ensure that the water doesn’t evaporate right away. Taper down to 1-2 times per week after the first month. 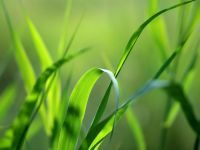 2) Fertilizer can help maintain healthy grass. Treat with a fertilizer containing nitrogen, potassium and phosphorus (like a 27-5-5) when the roots have taken hold (usually 4-5 weeks after installation). Fertilizer must be watered in or it will burn the grass. Read the package instructions for your specific brand. Then, Continue to fertilize once per month. One heavier application in late fall is recommended to help promote root growth over the winter. 3) Mow the grass for the first time 7-10 days after installation, but take only ½ inch off. Keep grass at a minimum of 2 inches high. Avoid walking on your lawn during the first 7-10 days especially where it is wet. Tip: During the first couple weeks you may see brown lines in your sod. Don’t be concerned, these are the cut lines and will disappear as new grass begins to grow. Quick Tips: Why Choose a Vinyl Liner Pool?